The Traveler Guitar Pro-Series Deluxe Acoustic Electric Guitar in Mahogany is an awesome full-scale-length travel-sized guitar by Traveler Guitar. At Haworth Guitars we love this Traveler Pro Series Deluxe Guitar's ebony fingerboard, abalone inlays, full scale-length design, ultra-light weight and size, extreme portability fitting in the overhead compartment on commercial airplanes, use of standard ball-end steel-strings, mahogany through-neck design and detachable armrest as well as the bold-sounding custom piezo and the fat-sounding dual-rail humbucker pickup. We also love the well-padded Traveler gig bag which comes included with every Pro Series Deluxe Guitar. On the road since 1992. The Pro-Series Deluxe features a custom piezo pickup (like standard acoustic/acoustic electric guitars) and a dual-rail humbucker pickup, so you can play a breadth of tones and styles with just one instrument. 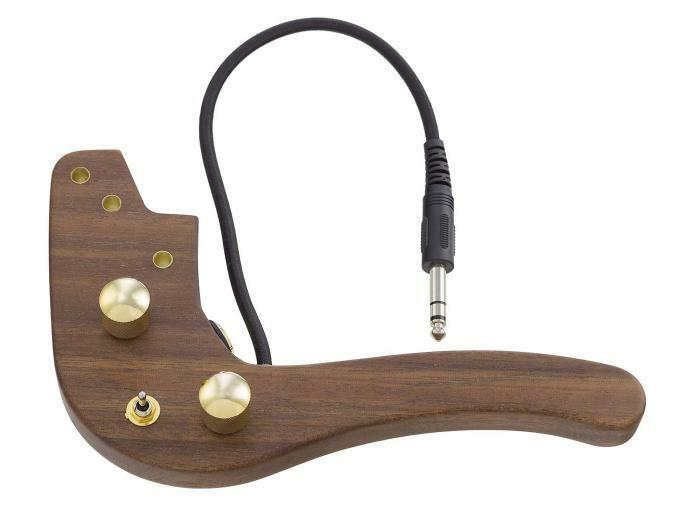 The 24 ¾-inch scale neck-through body sounds great through acoustic and electric amplifiers, or through its unique internal resonant pickup system with the included stethophone headset, which allows for private listening without batteries or an amp. The lap rest is detachable for easy transport, so the guitar and included gig bag fit easily in an airline overhead compartment. Headphone Amp: NONE, PASSIVE "STETHOPHONE"